Greatness, the bard tells us, comes in varying ways—as a natural inheritance, as a mantle that comes with achievement, or as some unexpected bolt that falls, even upon the unworthy, with all the force of a divine command. Modern corporations are prone to identify greatness with soaring production charts and favorably balanced profit and loss statements. Only lately have these industrial giants, goaded by some rather persistent finger pointing and strident voices, become aware that greatness demands something more than economic narcissism. Some seem genuinely astounded to discover that the improvement of life’s own quality should fall within corporate responsibility. By a happy confluence of people and purpose, a few companies early in their corporate life considered an aesthetic awareness as much a natural part of their operating formula as any other business fundamental. The expansion of “corporate identity or image” programs does not yet mean that we are levitating toward a firmament of corporate enlightenment. It does indicate that the pioneering efforts of a few notable companies have not been without effect. Those who show only a casual interest in graphic matters could not help but recognize that the most consistently enlightened of the forerunners is the Columbia Broadcasting System. Long before such catch phrases as “identity” and “image” acquired their current glibness, CBS had founded its corporate lifestyle and aesthetic posture on the bedrock principles of intelligence, elegance, taste, and even beauty. William Golden became the corporate art director of CBS in the late thirties and it was under his personal guidance that CBS was set on a design course that gave the company a greatness worthy of its intentions. If during his tenure William Golden was the perfect art director and tastemaker for this twentieth-century patron, obversely CBS provided the best possible matrix for the crackling, challenging intelligence of a Bill Golden. In this symbiotic atmosphere, Golden created an impeccable standard in corporate advertising and promotion, establishing a design environment that was as inspiring as it was intellectual, uncomplicated as it was profound, and inventive as it was free of cant. Golden was above all a realist. He had a special disdain for high-flown theories and posturing that did nothing but obfuscate the clarity of a designer’s vision. A good designer, he felt, should respect the stubborness of certain facts and should design accordingly, not indifferently. He considered the content of a communication and the inherent logic of a problem as fixed factors. Redundant as it may sound, Golden believed the designer should design. If the message is borne lightly, logically and tastefully, and produced faultlessly, it will reach eyes, ears and even hearts with a more penetrating effect. Golden did not suffer fools and their foolishness gladly, but he remained open to new approaches or new solutions to old problems. What he did seek was that elusive goal and excellence—one in which that hard beauty of crystal-clear thought was wed with the gossamer inventions of a fanciful spirit. Bill Golden’s training was hard and unromantic. From his professional background, we detect an interplay of social and personal forces that clearly left their mark on the way Golden perceived the designer’s function. Golden was born on New York’s teeming lower east side. His family was a large one, and poor, Bill being the youngest of twelve children. 1911 was a time when the American dream may have had more prominence in the public reverie than it does now, but an art education was not looked upon with any kind of favor by hard-laboring immigrant families. The exigencies of the times demanded that there was to be a clearly defined job at the end of the educational tunnel. So, Golden went to one of the city’s schools, bluntly called Vocational School for Boys. Photoengraving and “commercial design” constituted the core of the curriculum and there his formal education ended. Setting off to California, Golden worked for a lithographic and photoengraving firm, following this by a stint with the Los Angeles Examiner where he did ad layouts. Returning to New York, he moved a little higher on the design ladder, working in the promotion department of the long since vanished newspaper, The New York American. The turning point of his career arrived in 1936 when his work aroused the attention of the distinguished art director and savant, Dr. M. F. Agha, who was then making his own history with the Condé Nast publications. The year with Agha was clearly the catalyst that unlocked the creative wellspring of the young Golden. Apart from the sophistication garnered from this extraordinary relationship between an ingenuous apprentice and an urbane erudite, world-traveled tastemaker, Golden learned in practice those lessons that were to become the keystone of his own practical philosophy. 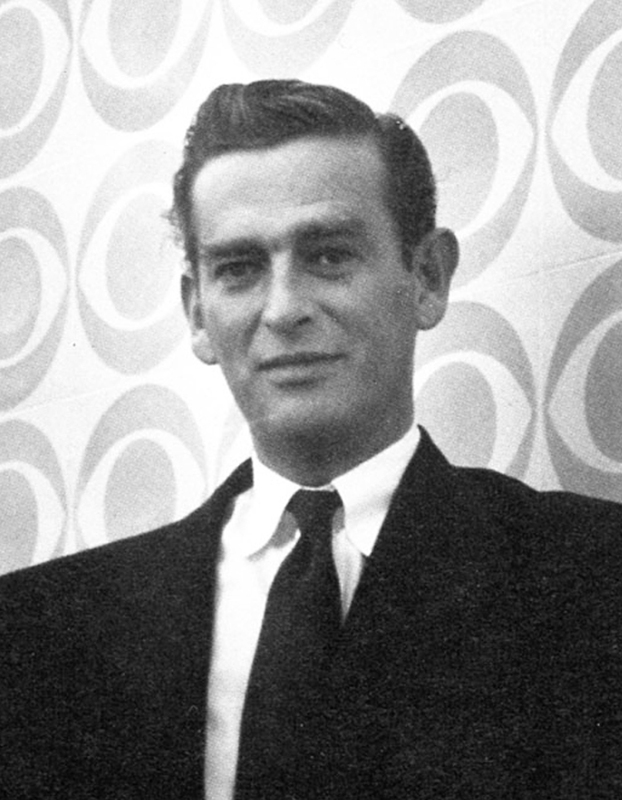 Golden summed up his debt to Dr. Agha in the simple declaration, “[Agha] forced the people who worked for him to try constantly to surpass themselves.” That simple but demanding method became the unwavering guideline for Golden when he became the art director of CBS, just three years after he had joined the company in 1937. Those who worked with Golden—and the list includes some of the most distinguished practicing designers and artists of our times—remember vividly, and never with regret, Golden’s clinical analysis of what they thought was their best effort. If there was a temporary pain of defeat, it was more than assuaged when the crestfallen found a greater victory in the second attempt. A great designer can be remembered for any or all of many virtues. If there is one strong current that seemed to bring together Golden’s diverse capacities, it was his uncompromising aesthetic honesty. Moreover, for all the stern exercise of his judgments, he possessed great personal and professional modesty. In working for a company whose very business was communication, Golden recognized a special responsibility. No copywriter could slip by a vague thought, a careless statement or an awkward word. Golden had a keen appreciation of the written word, respecting its function and the consequences of its use. That respect carried over into his typographic design, which was always aglow with elegance and exquisitely crafted. In the same spirit, Golden sought out the best image-makers to breathe the power of their sorcery into the printed page. Who else but a Topolski, with his bravura style, could capture the panoply and color of the British coronation? Who but a Ben Shahn could depict the poignancy of the world’s benighted and have-nots? Bill Golden chose well because he was close to the soul of the artist and every artist knew that Golden would give his work the best graphic theatre that could be devised for its performance. Please note: Content of biography is presented here as it was published in 1972.